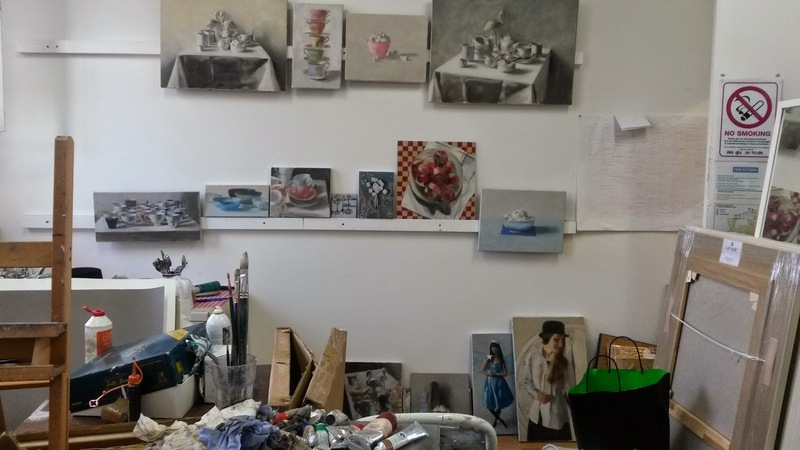 Some of the works in progress on the wall today - there are fifteen paintings here, two of which are possibly finished. I'll decide the next time I see them. As you can see the majority are still lives - presently I am thinking a lot about pattern and composition and using things rather than people lets me explore this more. I'm not sure all of these paintings will work out, but the trying should give me ideas of how to do better next time. Sometimes you just have to take a risk!